Eurochocolate 2011, nine days of brown craziness ending on October 23, was marked by gluttony but also by trails and cultural initiatives to allow visitors to get the most of Perugia, the Umbrian capital. 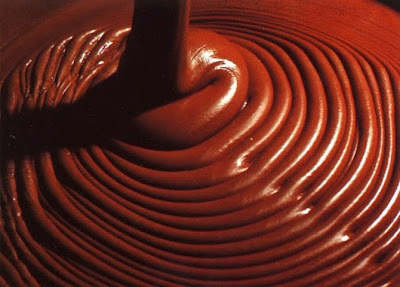 Perugia hosted the 18th edition of Eurochocolate, more at http://www.eurochocolate.com. It was a wonderful opportunity to savor the succulent productions of master craftsmen that from a simple cocoa bean are able to create new products, always very tasty. But it was also a good opportunity for a visit to the city! Let's start from chocolate. It was an event including many events, such as workshops for children to teach them to eat chocolate intelligently, while adult audiences will be shown some sweet ideas to create chocolate cakes and other sweets for any occasion. Nestle chocolate sculptures were on display in Corso Vannucci on Sunday October 16th from 10 am to 6 pm. A very important health initiative was the diabetes control campaign aiming at giving out the correct information to promote the prevention of diabetes. One of the main partners and sponsors of Eurochocolate was Kodak, which made available a large frame made with more than 800 kilos of chocolate from October 14 to the 24, which also was the icon of Eurochocolate 2011. But you can also discover Perugia independently walking along the Via Regale, which connects the Cathedral of San Lorenzo the the old Perugia Cathedral, the Basilica of St. Peter in the Benedictine Abbey. You can also choose to spend an entire day in the Abbey to live an exciting experience through the ages from medieval times to today. Or immerse yourself in the discovery of the treasures of the city: the masterpieces of Perugino, the divine painter. Starting from the Cathedral passing through the National Gallery of Umbria, you can retrace the steps of the career of the great painter, and then admire the masterpiece of his frescoes in the Collegio del Cambio. All this and much more is Perugia, a beautiful town of Etruscan origin.